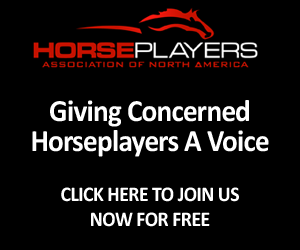 Horseplayers Association of North America: Why Does Racing Have Meetings Without Customers? Why Does Racing Have Meetings Without Customers? I was just watching the McDonald's documentary on CNBC. It was pretty interesting. It showed how product development, new foods, and everyday business was totally focused on their "guests" (they call their customers 'guests' I guess). They would not even think of discussing what to do, to change, or what needs to be done, without consulting the customers, no matter what they do. After that I got online to check some stories, and one was about a high level racing think tank that was held at the Meadowlands. Who was invited? Let's have a look. and a couple of other commission people and so on. Where is the bettor? The guy who might bet $100,000 on the product, giving a full $25,000 of it to racing, so these folks can have a salary? Y'know, the guy who provides virtually all the bottom line revenues to racing, whom without which, these folks would be racing for ribbons? This business is not McDonald's. Racing should not even bother meeting without inviting a bettor to the table. It is insanity. Please, join HANA, if you are not a member yet. It is free. Our strength is in our numbers. I just sent them an email, as a customer, that they invite HANA to represent the bettors at all future discussions of this sort -- it's ridiculous that they have to be told this. I'd like to see HANA try to organize a more active letter writing campaign -- each and every industry panel that goes by without a request for a HANA (at at least a wagering side) representative, gets hit with letters from members. HANA could probably organize this using email blasts to their members with links to forms, I'm sure there is some free 3rd party sw this can be done with. For years these type meetings were places to go where everyone gives each other a pat on the back, saying what a great job they are doing. Now they are a little bit different, because the industry has lost so much revenue and is fading fast. Now they have discussions on how to fix the business of racing. They are the exact same people who created all the problems, but that is beside the point. After working 3 years in a multi billion dollar company in market research / consumer insights, I often wonder the long term validity of any company that does not benchmark decisions based on strong consumer interaction/trend sentiment/ psychographic analysis. Consumer expectations are changing and brand loyalty with it. A well led, tiered, demographically well-represented focus group could do wonders for regional racing insights and thus better corporate decision making. Maybe it's because the track doesn't view the bettor as a customer? Did McDonalds invite a reprsentative a cow or a representative of their future hamburgers to the meeting? Just a thought. Give me a Slot machine,I don't care about the Bettor! "Where is the bettor? The guy who might bet $100,000 on the product, giving a full $25,000 of it to racing"
I think might want to change your club name to WANA - Whale Association of North America. I give my 25% share to the racing but you want the binocs on you - the puffy chested big boy with the thick wallet. I spend 3-4 nights a week at Meadowlands playing simo and then the live card. 98% of us probably don't bet over 200 for the time we are out there. But the the staff and execs DO respond to complaints. The guy stooping and looking for a tossed winner feels the same way about the state of affairs as you do Pal. I think might want to change your club name to WANA - Whale Association of North America." Dude, you can't possibly be serious. Over a 200 day meet, betting $10WPS and a three horse ex box a race can net you $100k a year. That is not a whale, that is an every day player. Racing should not invite some guy who bets $2 a race twice a week, he should invite an every day player to the table. 100k is a "whale" LMAO. That is way too funny. I own four horses and bet around 100,000 a year (and the poster above is correct, 100k is not a whale. My biggest bet is never over $15 or $20 wps), and I have never even been approached by anyone at the track for these meetings. I know I am not a big owner, or a big bettor, but really I think they would know who I am. Other businesses know who their customers are. Racing never has, and with the current people in charge, probably never will. I play racing here at betfair and I play online poker. I am not a big player, but play most days. I received emails from the poker site asking me what I thought of the interface and what ways they can make it better. I received phone calls from betfair asking me the same thing, and wondering how I was doing. Customer feedback and service is alive at those places. Maybe that is why they are taking all the horse racing business? Thanks for giving us a laugh for the day. Very clever. The post could have read "a group of bettors" or a "group representing" 100k of handle. It was meant to illustrate a point, not to prescribe preference to a certain player. We are extremely happy with the mix of players who have joined HANA. Second, the post does not speak to the customer service side of the business. Some tracks do that well. The post speaks to industry conferences who invite everyone from every spectrum, except the customer. Thank you for the Saratoga conference link. Yet again not a bettor in the crowd there. It proves the point nicely, in real time. Shame on conferences which try and fix racing without bettor input. Got you covered...Just made 200 copies of your brochure. They were be strategically placed for all to see (and take)at the conference in Saratoga.....The sad part of this is that the host hotel--Gideon Putnam - is run by Delaware North. They run the local Harness Racino and are bidding for the VLT's at Aqueduct. So short sighted. Thank you very much!! Awesome. 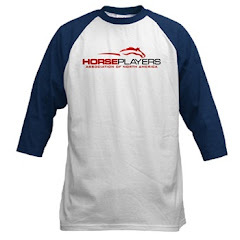 This sort of egregious lack of consideration for horseplayers is all too commonplace. A few years back, I was invited to address the Ad Hoc Committee on the Future of New York Racing at the National Racing Museum in Saratoga Springs.. This committee would make recommendations to the legislature as to who should get the NYRA franchise, which was soon up for renewal. After a few brief remarks, I had one of the tech guys play a video of “The Kid from Brooklyn” explaining what he would suggest if he were on Donald Trump’s “The Apprentice”. His theme was all about customer service, and The Kid got his message across without once using the f-word (he’s usually good for twenty of ‘em). His idea was simple - On Friday and Saturday nights from 8PM until 4 AM, the casino offers single deck blackjack, fair odds when you play the numbers on the craps table, and a $9.95 Porterhouse steak with a tossed salad and baked potato. The Kid said this move would have people flocking to Trump’s casino or force others to do the same to compete. Most in the audience and on the committee had never heard of “The Kid”. It wasn’t what they were expecting. I was invited to represent the concerns and ideas of horseplayers throughout the state, and it was time to “take the gloves off.” After The Kid’s video, I formally introduced myself and declared to the assemblage that I bet over $1,000,000 dollars a year on New York racing alone – but, other than a few free two-dollar betting vouchers (which I had to go to the track on a specific day to redeem), I was NEVER thanked for my play. Not a free meal – not special seats on Belmont Day – not a program or Racing Form – not even the dreaded watch. “What other business treats their best customers like this?” I asked sardonically. I followed that with a presentation regarding the effect of takeout rates at the big New York tracks. Bill Nader at NYRA was nice enough to provide me with all the “handle” data I required, and I clearly demonstrated how lowering the WPS take from 15% to 14% had not only increased handle, but also revenue. It’s three years later and takeout rates have gone UP. Here is another example of how lowly horseplayers are regarded. Last year, The BloodHorse approached John Pricci (executive editor of horseraceinsider.com) and I to join host Jason Shandler for a weekly video handicapping show on the web. Jason’s a really good guy, and John and I got on a hot streak with our selections. 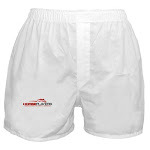 I decided to do a trial run selling The Xtras and The Shorts on the BloodHorse site in connection with the weekly show. On the page where the Xtras and Shorts were for sale, there was a pop-up menu which read “tell us a little about yourself”. 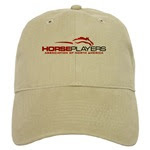 The pop-up choices included options like – farm manager – owner – trainer – veterinarian -assistant farm manager – a few more options, and then, just before Other, came horseplayer. ‘Nuff said. While the casino industry treats their clientele (especially the whales) like princes, horseplayers are treated like paupers. This must change! Our grievances must be addressed and our voices heard. This is too great a game to wither on the vine due to the ignorance, incompetence, ineptitude and downright insensitivity of the nepotistic bureaucrats and short-sighted politicians who currently rule the roost. It’s time top get out our slingshots and scatter these Goliaths from their privileged nests. was at Laurel Park on a simulcast day and went to the grandstand bar and ordered a Bloody Mary. When the bartender fixed it, I asked if she could put a lemon or lime in it. "They don't bring those down except on live days," she said. Tracks don't care about the customers in the building. Those customers are their dirtbags. Racing deserves what it gets. The only problem is . . . we love racing! 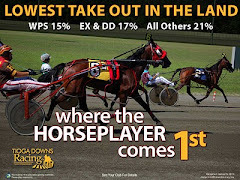 Greetings: I was a participant at the Meadowlands harness "think tank" and was pleasantly surprised to have been invited. Though I don't wager $1 million a year or anything close to that, I have been a player for years and always look out for the fans in anything I write. I was definitely an "outsider" among that group. I agree that a serious player should have been invited to the conference. That was a mistake. I will say, though, that most of the people in that room "got it." They understand that there are serious problems with the harness game and that many of them involve betting, the fan, etc. These are well-intentioned people who love their sport and don't want to see it fade away. Having big bettors on a panel or to seek comments from is a start. However, to truly build a sport you need to cater to all bettors, even the two dollar bettor. I seriously doubt that Mr Fortias started out as a million dollar bettor. Rather, he built up to it despite the treatment that he received. Notice that the only owners invited on panels are large owners. 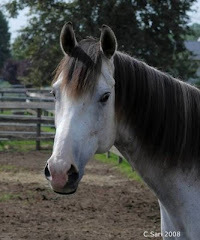 Try owning one horse and try to get decent treatment by NYRA at Saratoga. Paceadvantage Poll: Rebates or Lower Takeouts?